Diamond Cove Music is a full service music shop located in historic downtown Gloucester, Massachusetts. Come visit Cape Ann and take a little stress out of your life. We provide all sorts of musical items catering mostly to the needs of the acoustic musician. We also provide expert advice, lessons, instrument setup, repairs, pickup installation, etc. You will find a wide variety of instruments, pro sound equipment, microphones, stands, preamps, pickups, strings, accessories all at the best prices. While we have been working with satisfied customers for years, our website currently shows only a small sampling of our inventory. Please be patient while we migrate our store to another server and reconstruct it. For the meantime, please pick up the phone and give us a ring. Let us know what you are looking for, and we will either have it ready to ship or can get it for you quickly unless the manufacturer shows it as back ordered. Everything we sell comes with a money back 100% satisfaction guarantee. Customer service is our number one priority, so contact us for advice or visit if you are in the area. We’re here to help with all of your music needs. 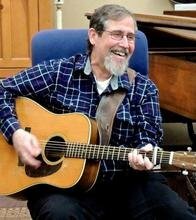 Tom Eaton, the proprietor, brings over 40 years experience as a professional musician to our shop. While his primary instrument is guitar, he also plays some mandolin, banjo, dobro, and has performed with various groups doing bluegrass, jazz, folk, swing, and country rock. He currently plays in the area with Tom Eaton & Pick 3. This hands-on experience allows him to find the best products to fill the needs of his fellow musicians. Contact him and use his insight to help you make the right choices when purchasing musical instruments or musical accessories. Although our prices can't be beat, Tom's advice is where Diamond Cove Music adds the most value relative to their competition. We are always happy to consult with you to find the best musical instruments possible that will meet your needs and tastes. In addition to being an authorized dealer of several high quality instrument lines, we also have connections and resources to find almost anything else you are looking for - for anything from guitars and banjos to specific strings and microphones. 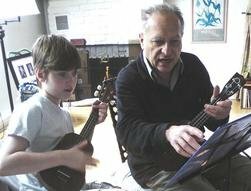 Top quality musical instruction is as important as the instruments we sell. John Hicks is a veteran of the Greenwich Village folk scene, theater on- and off-Broadway, swing music in Texas and blues in Tulsa. He discovered Hawai’ian music and ukulele 20 years ago in (of all places) Rockport, and has studied slack key guitar and lap steel in Hawai’i, performed at the first NY Uke Fest and Ukulele Noir around Boston. He regularly performs solo for seniors and children, and plays traditional Jazz with Gid’s Giddy Gang, the Good Ol’ Salty Jazz Band, and King Carubia’s Hot Society band. At Diamond Cove Music, he teaches fretted instruments, and is also the ukulele instructor at North Shore Community College.